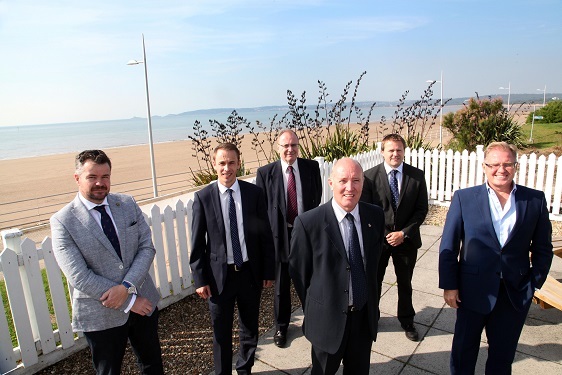 Leading Estate Agents from across South West Wales are putting their collective weight behind Agents’ Mutual, a new online property portal set to compete with Zoopla and Rightmove. So far 115 agents (effectively 85% of all agents) including Astleys, Carter Phillips, Clee Tomkinson Francis, Dawsons, John Francis and Fresh, from across the region have committed to join OTM and will be moving away from either Rightmove or Zoopla. Therefore the new portal will immediately become the carrier showing the most properties in this area. This is a major change and a significant development for those interested in buying or selling property. Agents’ Mutual is set to launch its UK-wide website with the domain name ‘OnTheMarket.com’ in January 2015 with around 4,000 agencies already recruited. Unlike its competitors, Agents’ Mutual will be 100% agent owned and there is a consensus among agents that ‘OnTheMarket.com’ will be give their client base more choice. 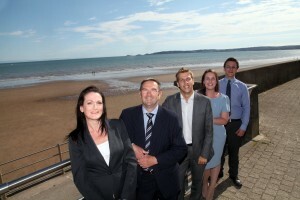 “This is a chance to support and play an active part to developing what is expected to be, the country’s ‘most complete’ property portal, which doesn’t happen very often and Dawsons along with the majority of Swansea agents have signed up to make sure the public get the best property portal,” said Dawsons Senior Partner Christopher Hope. Nigel Jones, Director at Astleys, is confident ‘OnTheMarket.com’ will present more than adequate competition for Zoopla and Rightmove. “It will be a website designed by agents for buyers and sellers. There will be no subliminal adverts or distractions just properties. This will give a better user experience to clients and customers. It is also the only property portal to be endorsed by the National Association of Estate Agents,” said Nigel. Matthew Wiggall, Director at Fresh, said: “The introduction of ‘OnTheMarket.com’ is hugely exciting and a welcome change for property agents. We at Fresh have been a supporter from an early stage and firmly believe it will quickly become the public’s first choice to search for properties after its launch in January 2015″. James Phillips, Director at Carter Phillips, and Neil Jones, Business Development Manager at Clee Tompkinson Francis, agree Agents’ Mutual will provide legitimate competition for the other property portals. “It is great we as agents have come together to create this portal in competition to Rightmove and Zoopla and the plan is that it will become a one-stop-shop for our customers. We need this in the marketplace,” said James. Neil added:“Agents’ Mutual will provide a property-search service to agents, their clients and the property-seeking public which is not driven by the narrow requirement of maximising returns to shareholders. Former CEO of Primelocation, Ian Springett, has been appointed Chief Executive ahead of the portal’s launch. “We’re delighted that over 100 quality estate and letting agencies across south-west Wales have signed up with us. 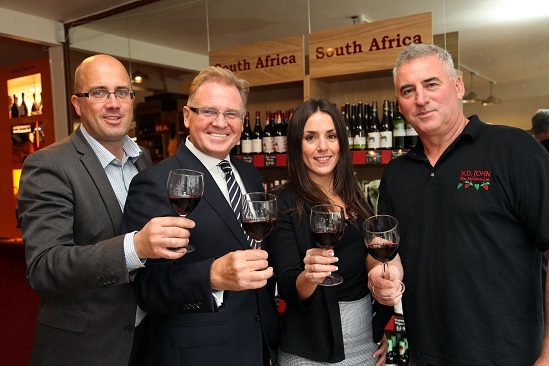 Their collective support is a resounding vote of confidence and a major boost to our market strength in Wales,” said Ian. As the market continues to gain traction, Dawsons has revealed a new industry focus as the role of an estate agent becomes the nation’s hottest property. The award winning estate agent has recently recruited five new employees, each of which will take on a ‘Saturday negotiator’ position at one of Dawsons’ 13 branches. 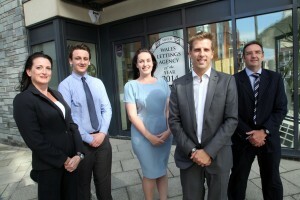 “Welcoming five new members to the team shows a new level of respect for becoming an estate agent. All of our new starters are passionate about pursuing their positions as a long-term career, and for some it can offer the perfect route to getting back to work after having a family,” said Chris Hope, Senior Partner at Dawsons. Graduate Myles Ellis Thomas is one of the new starters that has recently joined the Dawsons team. After studying law at the University of Leicester, Myles returned to his hometown of Cardiff and applied to Dawsons soon after. As a Welsh and French speaker, the Dawsons team will not only benefit from his legal expertise but also his multi-linguistic talents to reach a wider range of customers. “As the industry changes and the role of the estate agent enjoys higher respect, myself and the rest of the Dawsons team look forward to watching our company and the wider industry grow and develop further,” concluded Chris. 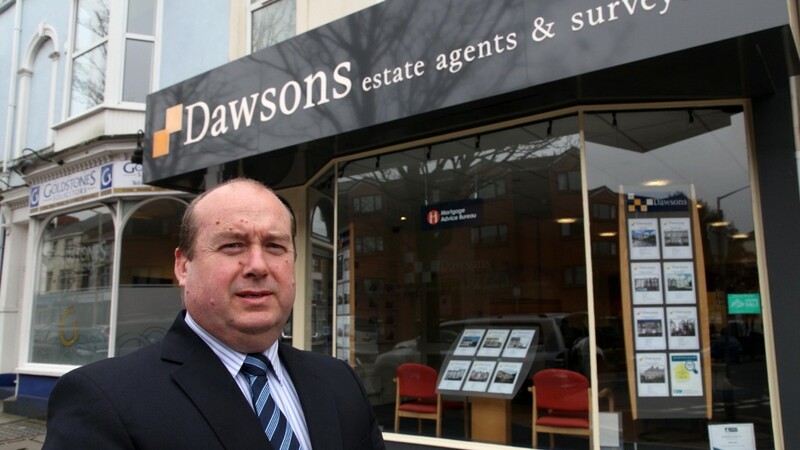 Wales’ silver award winning estate agent Dawsons has sponsored a fundraising dinner to show their continued support to the Making Swansea Proud Initiative. The Making Swansea Proud Initiative was set up in 2008 to support the Niall Mellon Township, which already holds a special place in the company’s heart. Members of the Dawsons team, including Senior Partner Chris Hope and his son Tom, have personally volunteered with the trust in the past. This longstanding relationship has seen Dawsons continually support the Making Swansea Proud initiative, which has seen a staggering £50,000 raised by the people of Swansea for the project. Together with eight-time volunteer Brad Wood, five-time volunteer Andrew Thomas and former Dawsons employee Natasha Gallivan, the team will be hosting a gala dinner at Swansea’s Marriott hotel on the 12th September, where they are looking to raise a further £10,000 to help build a school in South Africa. “The charity deliver blitz building projects and volunteers can have a real hands on experience to help build homes and schools for impoverished families in Nelson Mandela’s native Eastern Cape. Their work is fundamental to building a better South Africa and we as a business are proud to support this initiative. Whilst I can’t volunteer in person this year – fingers crossed for next year though – Natasha and Andy will be putting on their overalls and hammering away during this November’s trip,” said Chris. The charity has been responsible for building 25,000 homes in South African townships meaning 120,000 people could be rehomed. Their most recent project saw them move from housing to education and in March 2014 volunteers spent a week at a school in Imizamo Yethu, Cape Town, improving facilities for over 300 pupils. The dinner will see Swansea University’s Professor Marc Clement and charity Founder Niall Mellon deliver inspirational talks. Tickets for the dinner are priced at £495 per table or £50 a head. Ticket prices include a three course dinner, wine, entertainment and a ‘money can’t buy’ raffle and auction, consisting of prizes donated by an array of generous local trades and individuals. Please call Dawsons on 01792 641035 to purchase your tickets. Could letting out your property provide the extra income you need? Whether you are new to the buy-to-let scene or an experienced landlord, fully understanding the ins and outs of buy-to-let mortgages is essential when managing your property portfolio. Here the UK’s leading independent mortgage broker, Mortgage Advice Bureau, offers the ultimate guide to letting out your property. There are two main ways that buy-to-let properties can make you money. Capital growth is where the value of your property increases over a period of time, and while property value can increase, it is important to remember that it can also come back down as local house prices and market conditions fluctuate. The alternative way is via rental income, which is the amount of money that you receive from your tenant. “It is not uncommon for someone to become a landlord accidentally. You may meet a new partner and move in with them whilst keeping your own to rent. You may have to move abroad to work but want to keep your home in the UK, or you may simply have difficulty selling your property. If this is the case, there are certain steps you should take when making the decision to turn your home into an investment,” said David Treharne from Mortgage Advice Bureau. Telling your mortgage lender about your change in circumstances may sound simple, however, many would-be landlords overlook this. Your lender needs to give you formal ‘consent to let’ before you can let out your property, which may mean a higher buy-to-let interest rate. Whether you are opting for the most common form of tenancy, Assured Shorthold Tenancies (AST), or an alternative, failing to notify your lender will put you in breach of your mortgage agreement. Telling your insurer is also integral to your success as a landlord. Your standard Buildings and Contents insurance policy will not cover you if the property is to be let out. Instead those looking to let their property should take out specific Landlord’s Insurance. Mortgage interest rates for these types of mortgages tend to be higher than those for residential mortgages on your home, and the loan-to-value (LTV) is generally lower. Affordability is also assessed differently; whilst employment income, benefits and a combination of other sources are used to evaluate your ability to repay the loan, income is assessed as a percentage of your mortgage payment which is usually at least 125%. There are also different taxes with a buy-to-let mortgage, Stamp Duty has to be paid on a purchase of any property worth more than £125,000, but you may also have to pay Income Tax on the rent you receive and Capital Gains Tax when you come to sell the property. You must state your rental income on a Self-Assessment Tax Return but you can take off costs such as mortgage interest and letting agency fees from the rent before you declare your income. Maintenance costs, annual safety checks, Landlord’s Insurance and Rent Insurance are all costs that need to be considered, even though they may not be taken into account by the mortgage lender. “Landlords with more than one property should also seek independent advice as some lenders will only lend on properties valued above a certain level. Although this is usually around £40-50,000, there are some that specify minimum valuations at a level of £100,000 and above. Some also restrict the number of properties you can own or the maximum amount that they will lend to you in total,” concluded David. 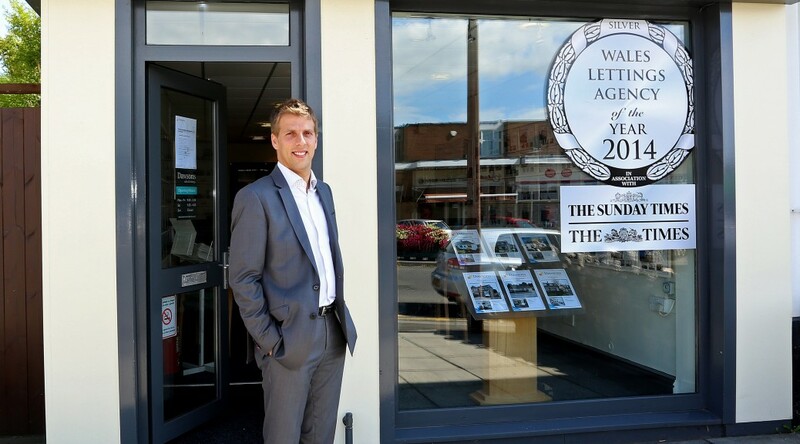 Swansea’s largest independent estate agent undergoes dramatic growth and expansion and after recent success at The Lettings Agency of the Year Awards 2014 Dawsons has been looking in on itself to find those individuals who can continue this success. One such individual is David Parton who is progressing from Office Manager to full Branch Manager. David will now be moving from Dawsons’ Mumbles branch to take on his new role at the Killay office. The new position is symptomatic of Dawsons’ progress and reliance on committed, professional staff. 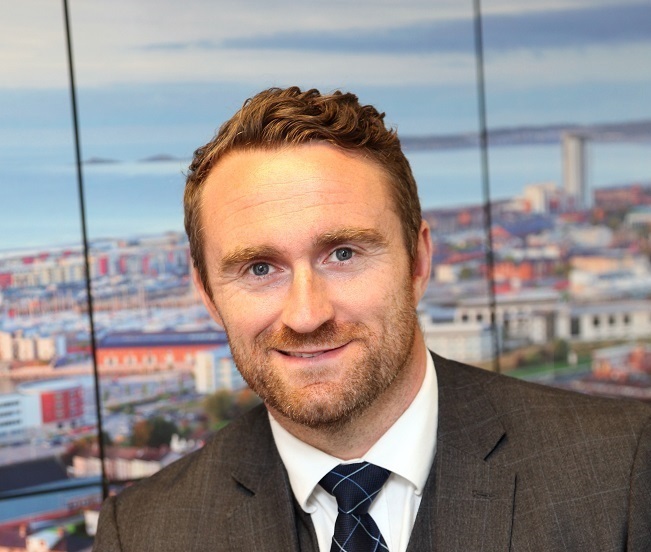 David’s tried and tested methods during 8 years with the Mumbles team is proof of the winning qualities needed to steer the way to future successes in the buoyant property market of recent times. “I have gained some fantastic experience as Office Manager at our Mumbles branch as well as an extensive knowledge of the local market. I look forward to the change of area and getting my teeth into the challenges that lay ahead,’’ added David. “I am delighted to announce the promotion of David Parton, each of which have developed within the business. Myself and the rest of the Dawsons team look forward to watching them advance further,” – Christopher Hope, Senior Partner at Dawsons. How does the Bank of England’s mortgage lending cap affect you? In an attempt to try and ‘cool down’ the housing market and its buoyancy, the Bank of England (BOE) and its governor Mark Carney have recently revealed that caps will be imposed on mortgage lending. Under the new rules, lenders will now not be allowed to lend amounts that are 4.5 times or more above the prospective mortgage borrower’s income if they already have more than 15 per cent of its total mortgages at this level. Here the UK’s leading independent mortgage broker, Mortgage Advice Bureau, unveils how these caps will affect borrowers throughout the UK. “In reality around 9% of all loans made are at 4.5 times a borrower’s income (or above) so there is still plenty of latitude for those borrowers whose borrowing requirement warrants this and where they satisfy the lender’s affordability model,” said Oliver Adair from Mortgage Advice Bureau. Due to come into force on 1st October 2014, the new lending caps are just one measure introduced to ensure future affordability amongst borrowers. The mortgage income cap is only expected to reduce lending by 2.5%, whilst London and the South East will be hit hardest as currently the ratio of mortgages where more than 4.5 times a borrower’s income is required is 19%. The same principles apply to Buy-to-Let mortgage lending, which sits outside of these rules, whilst landlords will also remain unaffected. “It is anticipated that lenders will begin putting the rules into place as soon as possible to prepare. Therefore, it is vital to get advice from a professional mortgage adviser who understands the new rules and which lenders will accept your personal circumstances,” concluded Oliver. After receiving the silver award for Wales Lettings Agency of the Year at The Lettings Agency of the Year Awards 2014, independent property expert Dawsons is set to host a celebratory evening for each and every member of its lettings workforce. Dawsons attended a star-studded ceremony in London to collect the prestigious industry accolade. Run in association with The Sunday Times and The Times and sponsored by Zoopla Property Group, the team were joined by 500 other leading lettings agents at the glittering event, which was presented by best-selling international author, inspirational speaker, presenter and charity campaigner Katie Piper and renowned journalist, author and newsreader Penny Smith. 42 members of the Dawsons lettings team will be attending an evening celebration as part of the company’s ‘thank you’ for their hard work during the last 12 months. The windows of their branches have also been dressed to reflect their recent achievement. “It’s a great achievement to receive the silver award for Wales Letting Agency of the Year, and rest assured we’re aiming for gold next year so watch this space!” concluded Ricky. 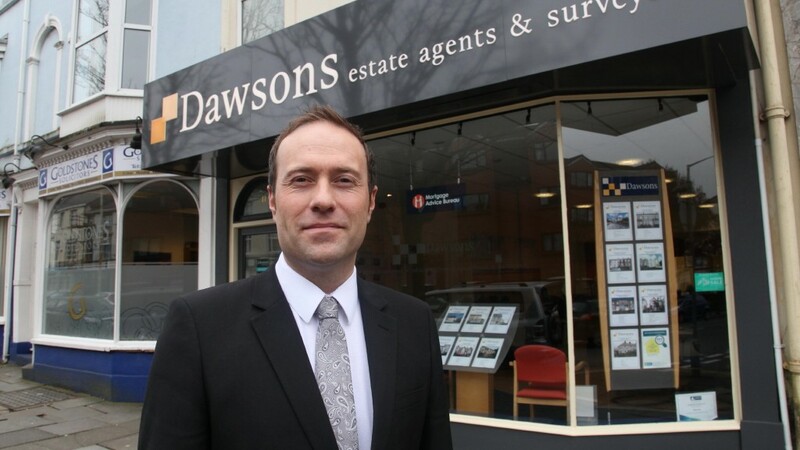 Leading independent estate agent Dawsons has announced further jobs growth for the South West Wales area. 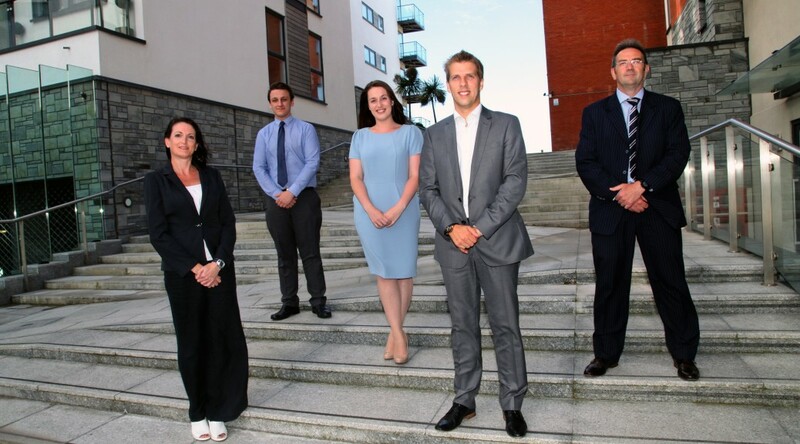 In the wake of receiving the silver award for Wales Lettings Agency of the Year at the prestigious Lettings Agency of the Year Awards 2014, Dawsons has welcomed several new additions to their team. Charlie Williams and Laura Waite have joined their Llanelli branch, whilst their Morriston branch welcomes Bernadette Howells to the team. 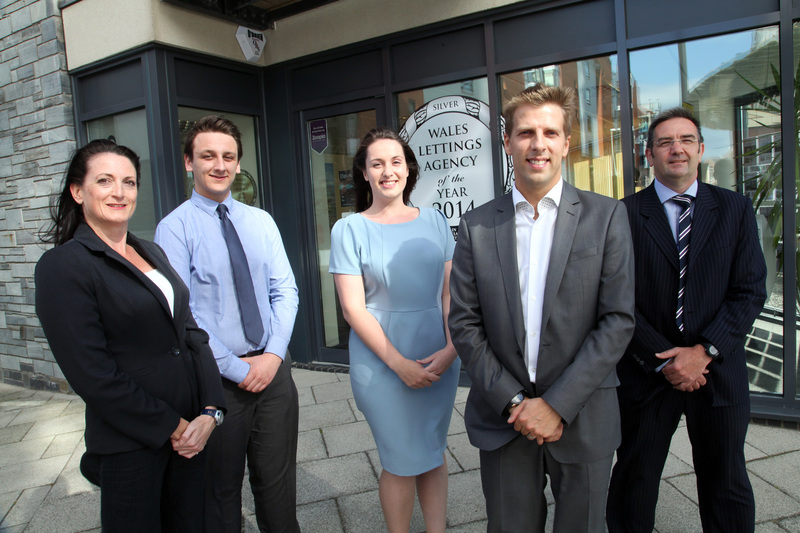 The estate agent’s Marina office sees Catrin Kingston join their growing team. The final addition is Stephen Cadmore, who will be based at Dawsons’ Mumbles branch. “We’re delighted to welcome each and every new addition to the wider Dawsons family. As an independent estate agent we are passionate about providing opportunities within the local area and feel that the expertise offered by our new staff members will not only enhance our existing team but provide a better service to our residential and commercial clients,” said Ricky Purdy, Director of Residential Lettings at Dawsons. The Dawsons team has grown significantly in recent years and now employs around 116 staff members. The firm is independently run by three individual partners, all of which use their 20 plus years of experience to guide the wider team. 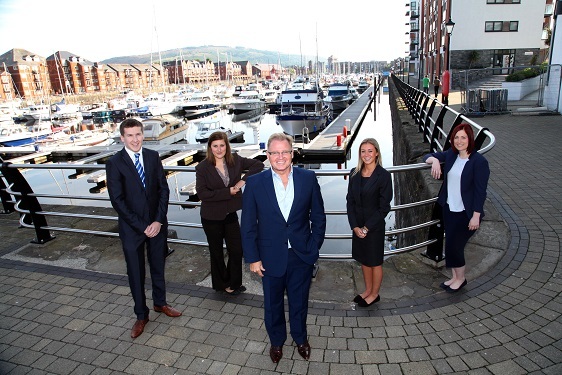 With branches in Swansea, Gorseinon, Killay, Llanelli, Mumbles, Morriston, Sketty and Swansea Marina, Dawsons attributes its wider success to its team’s experience, expertise and local knowledge. Dawsons has been named winner of the silver award for Wales Lettings Agency of the Year at The Lettings Agency of the Year Awards 2014. Run in association with The Sunday Times and The Times and sponsored by Zoopla Property Group, the Dawsons team joined 500 other leading lettings agents in London to attend the star-studded ceremony. 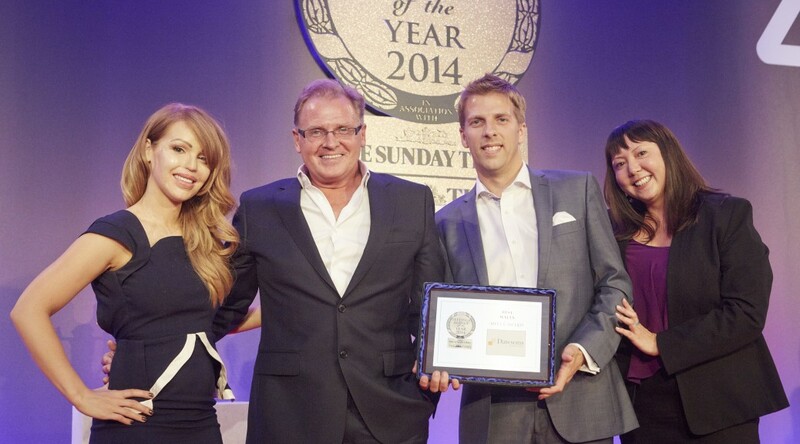 Held at The Lancaster London Hotel overlooking Hyde Park, the ceremony saw best-selling international author, inspirational speaker, presenter and charity campaigner Katie Piper announce the winners of the coveted awards. Renowned journalist, author and newsreader Penny Smith also acted as compere. The awards ceremony marked the end of a rigorous and thorough judging process. A panel of 21 industry experts assessed initial entry submissions before conducting an extensive review of the entrants, which included over 12,000 minutes of telephone interviews and mystery shopping exercises. This process was overseen by The Property Ombudsman, Christopher Hamer. Now running for over 10 years, these awards have become widely recognised as the most prestigious and difficult to win. The awards welcomed more entrants than ever before, nearly 6,000 offices were represented this year, but only the very best were crowned as winners. “We have a wealth of experienced and knowledgeable staff within Dawsons that are deserving of this accolade and recognition. This award recognises their great efforts over the past 12 months,” concluded Ricky. How is the Mortgage Market Review helping you prepare for the future? With mortgage rates now increasing, both current and prospective homebuyers need to be aware of the increase in their mortgage repayments when interest rates eventually rise. The Mortgage Market Review (MMR) was officially introduced by the Financial Conduct Authority (FCA) in April to allow lenders to determine a borrower’s affordability. Here the UK’s leading independent mortgage broker, Mortgage Advice Bureau, reveals how the Mortgage Market Review’s stress test could help buyers prepare for the future. Under the MMR rules, lenders must check that you can afford your repayments both now and in the future, and they do this through processes such as mortgage stress tests. The stress test gives lenders all the information they need regarding your finances, from how much you earn to how much you spend on food, utilities and even leisure. “With a base rate rise inevitable, the FCA has stated that borrowers must not receive a loan if a bigger mortgage repayment could ‘break’ their finances. You will be extensively checked, with your day-to-day finances and spending coming under intense investigation,” said David Treharne from Mortgage Advice Bureau. As well as ensuring that a return to irresponsible lending that took place in the run-up to the credit crisis is avoided, the MMR aims to protect borrowers from falling behind on their repayments so doing a check now will prepare you in good time for when rates rise. When the Bank of England’s Monetary Policy Committee votes to increase the base rate, expectations are that it will be increased in a controlled manner until it reaches between 3-6 per cent to minimise the risk exposure level. As the economy continues to improve, interest rates are inevitably going to rise. This is why it is better that the MMR is letting borrowers know now how much they can afford, rather than a year from now, when it is too late. “Whilst the MMR continues to look to the future, so should you. Regardless of what measures are taken by the Bank of England and the Government, there is always going to be a risk factor when taking out a mortgage, which is why considering taking out income protection insurance and seeking professional advice should be a serious consideration,” concluded David.